Tesco clothing brand F&F has appointed Porta-owned Publicasity to handle consumer PR in the UK and manage a network of agencies throughout central Europe, following a competitive pitch. Publicasity will work alongside F&F's in-house team, as well as creative agency Odd and media planning firm MediaCom, to launch the clothing brand's 2017 autumn/winter collection this spring. The range will be promoted through fashion media engagement, press events and by influencers, as well as via brand partnerships, the agency said. This activity will also be replicated on the continent, Publicasity director Paul McCaffrey told PRWeek. Following the launch in spring, Publicasity will also work on the Spring/Summer events, McCaffrey said. The brief also includes the handling of a network or central European agencies, which will execute PR campaigns within their own markets. These agencies will report to Publicasity. Agencies in Poland, Czech Republic, Hungary and Slovakia have already been added to the roster, which is comprised of members from global PR agency network, PROI. However, it is unclear which specific agencies have been added to the roster. F&F global brand and marketing director Chris Other said: "It is an exciting time for F&F, with a new look and feel for the brand." PR for Tesco's fashion remit will be separate from the supermarket's broader PR activity, but the company will seek continuity between all its brands and PR agencies, PRWeek understands. 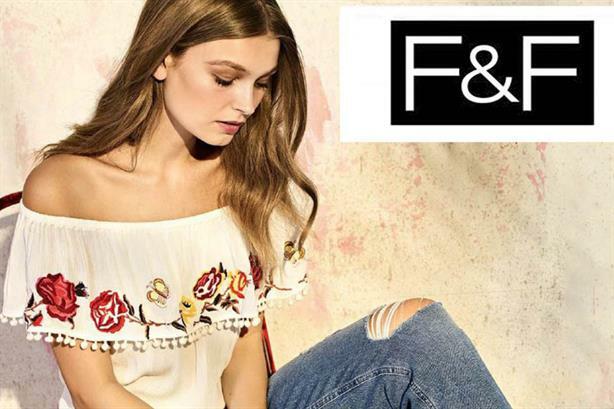 F&F clothing includes menswear, kidswear and activewear collections, and is available in 850 stores across the UK and 966 stores throughout central Europe. It is also available online.